The watercolor composition above was created recently, on a wonderful evening at the Lake of Zurich. Our son just had his last day of primary school ever and we "celebrated" the occasion by swimming in the lake, eating at the lake, and with a sunset pedalo tour on the lake. It was warm, but not too hot, everybody was happy (and not fighting) - it was really "just" perfect. 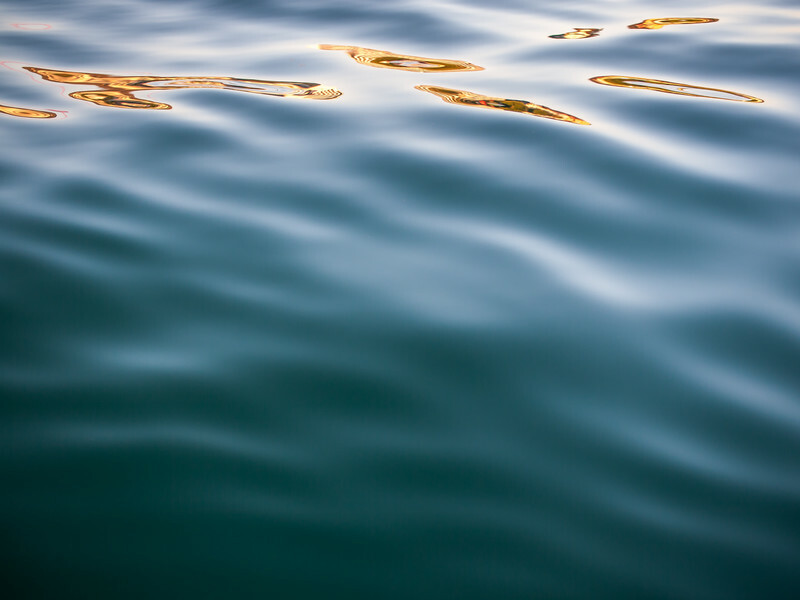 In the photograph above, I enjoy the smooth and soft-looking surface of the water. To me, it rather looks like a fabric than a liquid. Photography-wise, it is not an easy year for me. I struggle writing regularly for this blog, feel in between photography projects in a rather unproductive way, our printer is still producing ugly spots and lines all over the sheet (the reason for the missing monthly print), and I keep destroying my photography equipment. I have just permanently put down my trusted and beloved Lumix GH1 - after many years of regular use. The watercolor composition above is one of the last captures of this camera (no, I did not drown it in the Lake of Zurich, but in a much more shallow body of water in a most embarrassing way). My little "photography time" has recently been used to finally create at least one of two planned family photo books (for last year!). Since we will also go on holiday, I am now taking a (hopefully creative) summer break for this blog and only "return" writing here in a couple of weeks, sometimes in August. In the meantime, we will spend a summer holiday in the Swiss mountains, for which I have received an exciting new camera as a temporary replacement (I will definitely report on this most unexpected and most welcome occasion). I am looking forward to spending a few days with the family, to hiking, and of course to creating photographs.